Most cancer patients prepare themselves for the loss of hair on their head from chemotherapy, but what many have come to experience is the loss of eyebrows- and even eyelashes, too. While some people might not be as bothered by it, for others it can take its toll on their self-esteem.It’s good to know your options if you’re experiencing eyebrow hair loss after completing chemo. While makeup is one of the most familiar solutions, you may want to look into a new popular method called microblading. Microblading, also known as Eyebrow Embroidery, is a form of tattooing that involves implanting pigment beneath the surface of the skin to create the look of hairlike strokes. This can be used to create eyebrow definition, cover gaps, improve thinning brows, or act as a full reconstruction if the brows have little to no hair. Each microblading stroke is applied individually, allowing the esthetician to control the shape, color and density of the completed eyebrows. Unlike traditional tattoos, microblading is semipermanent, and lasts anywhere from 6 to 36 months, depending on your skin's pigment retention. The process takes approximately 2 hours to complete, 7-14 days for the brows to heal over, and about 1 month for the color to fully set in. If you're unsure about the permanence of traditional tattooing, microblading could be the right level of commitment for you. One benefit of microblading is that it's low maintenance. No special care is required, except for a brief touch up once a year. The smudge-proof solution is a bit pricey, costing anywhere between $400 to $1,400, depending on your location and the artist’s expertise, but some might find this investment entirely worth it. Dealing with Cancer is hard enough. 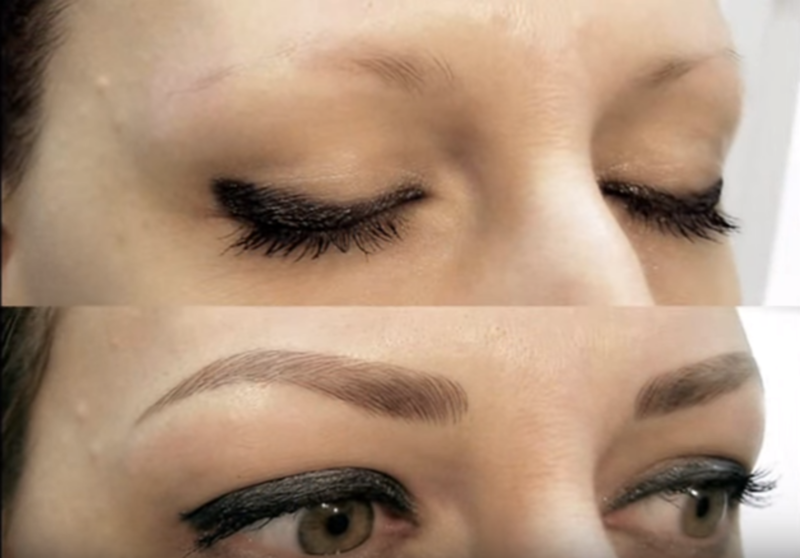 If microblading brings you confidence and gives you one less thing to worry about, you should consider it an option! Talk to your oncologist and care team to find out if microblading is right for you. Have you tried or thought about trying microblading? Share your story in the comments below! This is for Anyone Who's Ever Asked, "Why Did I Survive?" Sephora Is Offering Free Beauty Classes For Cancer Fighters...But Will The Products Be Safe to Use?